﻿ A common stigma attributed to more technically-minded acts is the constant dourness that surrounds them, and that both they and their fanbase see their craft as the pinnacle of musical class and achievement. CHON clearly aren’t one of those bands. There are few pretensions towards high-concept depth on Homey, the California math-rockers’ sophomore album that loosely fits around their SoCal home, and whose creation came from a rented beach house to feel the inspiration firsthand. With that in mind – and with the fact that this is an almost totally instrumental album – there isn’t a great deal to say about Homey as a whole, only that, for what it wants to achieve, CHON manage it spectacularly well. There’s a lot of light and warmth that comes from this album, and even if it does fall into the well-known trapping of some instrumental tracks bleeding into each other, that sort of feels like the point. Homey feels like vibe music first and foremost, the sort of thing that could fade into the background and do a fine job staying there, it’s far too intelligent and intricate not to pay attention to. The shimmering, spidery guitar lines on Sleepy Tea and the gentle skip of Checkpoint have that bright, bubbly quality that you’d expect coming from the summery epicentre of a California beach, but the meticulous craft and improvised flourishes remain compelling yet technically fluid, and though the tighter compression on the drums can hem them in from really letting loose, Nathan Camarena has the sort of ridiculously loose-limbed proficiency to allow them to sit in the background, yet still stand out perfectly. The areas of Homey which are likely to draw a lot more attention, though, are the collaborations, which see CHON draft in a number of electronic producers for a smoother, more tropical sound. 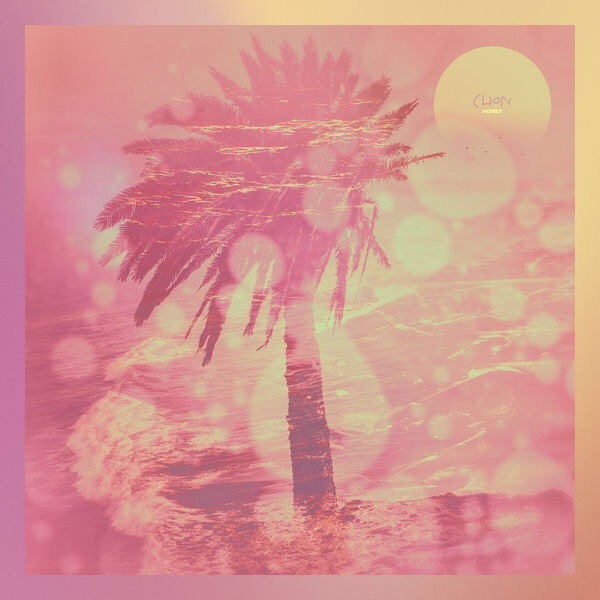 And really, it doesn’t take a genius to predict the contention that will arise from these tracks, largely thanks to CHON’s more wild and experimental flourishes moved aside for a heavier electronic influence. And sure, they disturb the flow of the overall album by a considerable amount, but in terms of sonic intention, there’s no reason they shouldn’t be here. The sleek, saturated electronics and vocal fragments from GoYama and Giraffage on Berry Streets and Feel This Way respectively serve to fill out the mix with a bit more groove, and the tight R&B sway on Nayhoo courtesy of Lophiile on production and Masego on vocals capture the same lightness and lax attitude as the rest of the album, just in a different way. It would be interesting to see CHON try something in this vein again; it’s a new avenue opened into something cool and fresh that honestly does work. After all, CHON clearly have a more laidback attitude than some other progressive acts, and that’s what makes Homey feel as fresh as it is. There’s a vergence on light and colour that bands of their ilk rarely move towards, let alone a wholehearted embrace of genres not even adjacent. It’s such a breath of fresh air to find a band like CHON, one whose technicality stays at the fore even while adapting to the onset of summer. They might have just tapped into the niche of chillout music that’ll also make you think, which really is an achievement in itself. ‘Homey’ by CHON is released on 16th June on Sumerian Records.